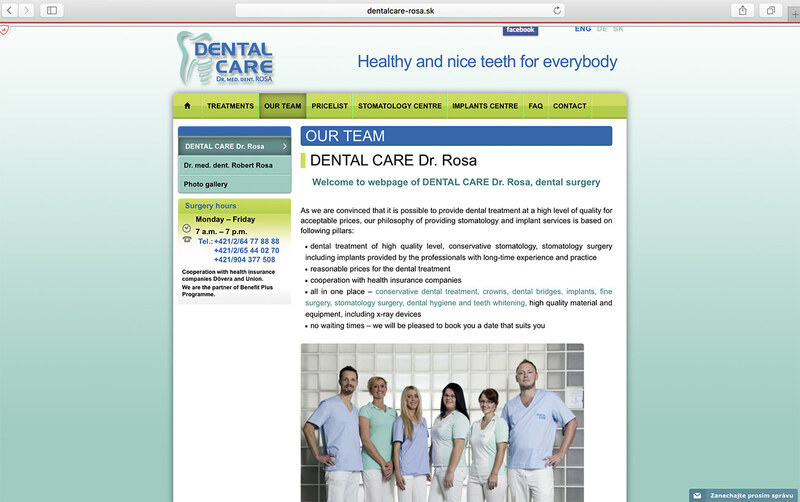 Marketing for dental clinics is a key factor so as to gain more visibility and ensure client loyalty in this industry. Oral care accounts for approximately 35 billion dollars around the world, and in 2021 it’s predicted that this number will surpass the 40 billion dollar mark (statistic). The pharmaceutical industry, specialized machinery used for oral treatments, the professionals, Dentistry studies, and the dental clinics all form a part of this market, with the latter of these being the more visible face of the sector. These clinics find themselves very atomized. There are larger oral healthcare companies with complex, top-notch equipment and numerous dentists and hygienists working for them, but there are also small and medium-sized dental clinics that have dug themselves into a hole in their respective communities. A dental clinic relies on the proximity it has to its patients in order to create trustworthy, lasting relationships. However, it’s also important that they know how to adapt to change as it happens within their field so that they can compete with the oral healthcare giants. This ‘closeness’ factor can be their most profitable feature because it allows for them to use marketing strategies known as proximity marketing that rates as the fifth ‘P’ in marketing according to Forbes magazine. What are we referring to? There are four ‘Ps’ of marketing that Jerome McCarthy defined in the 60s—product, price, promotion, and placement. We would need to add in a fifth, ‘proximity.’ Greg Petro, CEO of First Insight, explains it in this article that you can read here. We consider it to be essential for understanding the most effective promotional strategies. In this post, we are going to discuss the five marketing strategies for dental clinics that work. They have much to do with the proximity to the client and the needs for closeness and real aspirations that, when used properly, can set an SME on the path to success without the need for large investments or hiring further personnel. Focusing on a more specific target audience and leaving aside generalities is one of the most used marketing strategies of the twenty-first century. When faced with an excess of offers, this can be what sets your brand apart from the competition. Who can you focus on? What kind of users can be the most profitable for you? “Marketing for Dummies,” a book by Alexander Hiam, which is going into its fourth edition, distinguishes that which is fundamental when analyzing the target customer profile. That skill can prove to be useful in these moments. There is a need to be aware of the market and population in which you find yourself and the existing competition. An understanding of what consumer habits are present, as well as the buying habits of those individuals who you would like to address, is also important. If we are referring to the oral healthcare scene, it’s evident that, in today’s world, an interesting option could be to target youth and children. Parents will invest whatever means necessary to guarantee the wellbeing of their children and this is why this strategy can draw public interest. At the same time, if you choose to specialize in infant oral health care, you could also take care of the parents, combining both options within the same clinic. 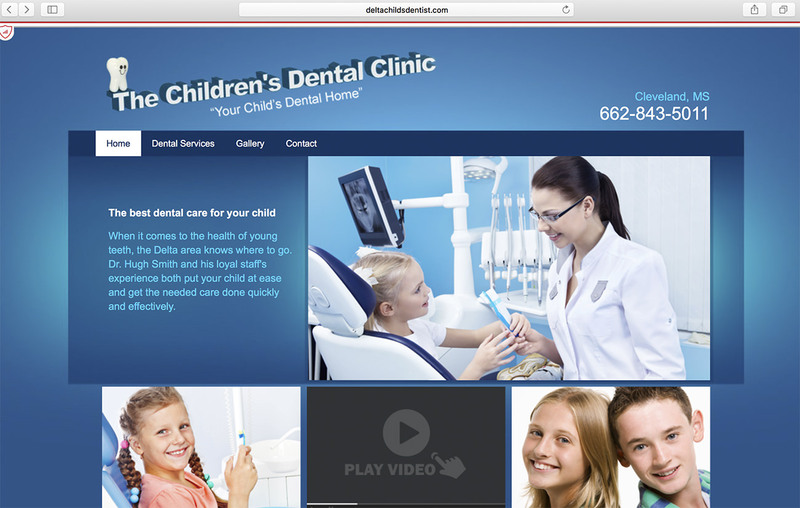 An example is The Children’s Dental Clinic, a business located in Cleveland (Ohio), that has centered its focus solely on these small (but very important) patients. On their website, they define themselves as ‘Your child’s dental home.’ The photographs they provide of infants and young adults with doctors conveys excellent imagery that transmits confidence to parents who are the ones that ultimately decide where they will take their children to receive dental care. Another case of specialization that has been experimented with in the last several years is DENTAL IMPLANTS. We are in a predominantly aging society with birth rates dropping, especially in certain countries. This means that the world’s population will continue to age and require specific oral services, such as implants. Those who decide to focus their efforts on this segment of the market should do their homework ahead of time, including getting to know the population of the chosen area, the average age, economic resources (as implants are costly), and the existing competition within a certain radius, among others. 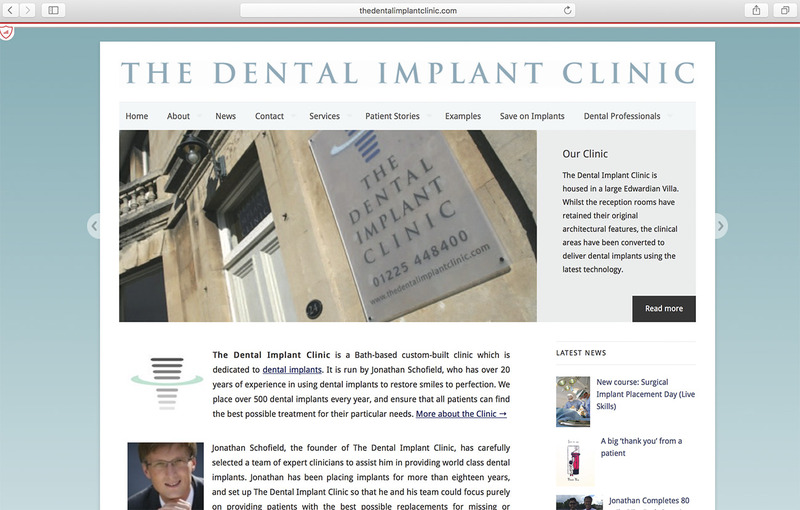 These studies and investigations are probably being done by The Dental Implant Clinic, a business created by Jonathan Schofield, a professional located in the British city of Bath in southeast England. They convey professionalism and experience through their website. The tone is not as care-free and festive as in the previous case as they are directing themselves towards a completely different audience. They present themselves as more informative and distant. Once customers start looking for dental services and try it out for themselves, they won’t want to leave their oral health in anyone else’s hands. That’s what you must strive for as a business: attracting people to you and then creating customer loyalty. How should you do this, though? There are various offers and promotions that can be used to help with this. They may not be the most innovative, but they continue to be effective, as they can be seen within the American Marketing Association manual, ‘Customer Message Management: Increasing Marketing’s Impact on Selling.’ Dentistry has known how to use these proposals to its advantage. They are some of the most efficient, too, which is why so many SMEs in the dental industry are using them. First Visit Free: This entices potential customers to use your services as a diagnostic consultation. You offer them a no-cost option which allows them to get to know your personnel, the facilities, and the values of your brand while they find out about their overall dental health, including where they are currently at and how much they really need a good dentist. This can be offered in the fine print (without conditions) or as an offer solely for particular cases, as Kids Dental, a Canadian oral business, is doing. Free Cleaning: This can be offered as a way to ‘hook’ that first visit or as a way to create loyalty within patients; giving them this service after they have finished with the treatments they scheduled and budgeted to begin with. 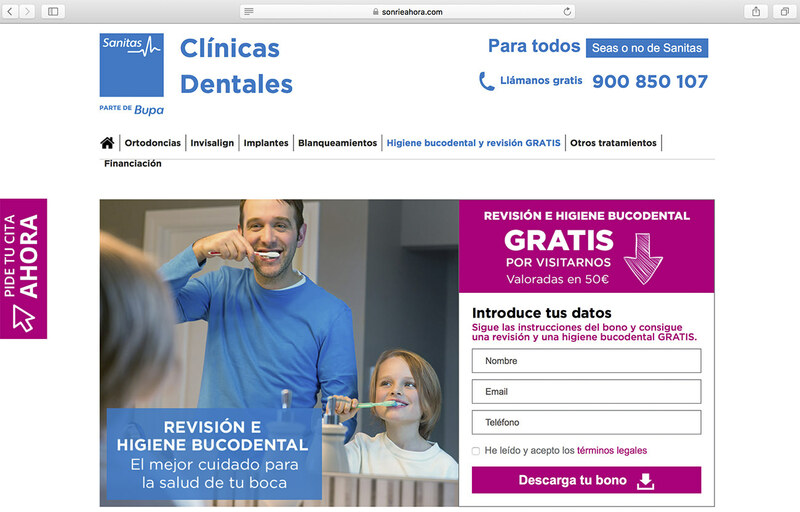 A Spanish oral hygiene company, Sanitas, has been able to use this formula to the maximum and they continue to acquire faithful customers, as well as generate an important database with their information for further e-mail marketing campaigns. Financing for Treatments: This is a high-valued plus in the world of oral care, as, on average, to get oral care done in a sanitary environment can become quite costly. The oral health care companies that have alliances and agreements with financial entities can offer this financing option in advantageous situations for the customer. All parties involved will value it enormously. There are diverse formulas related to carrying out this type of promotion. 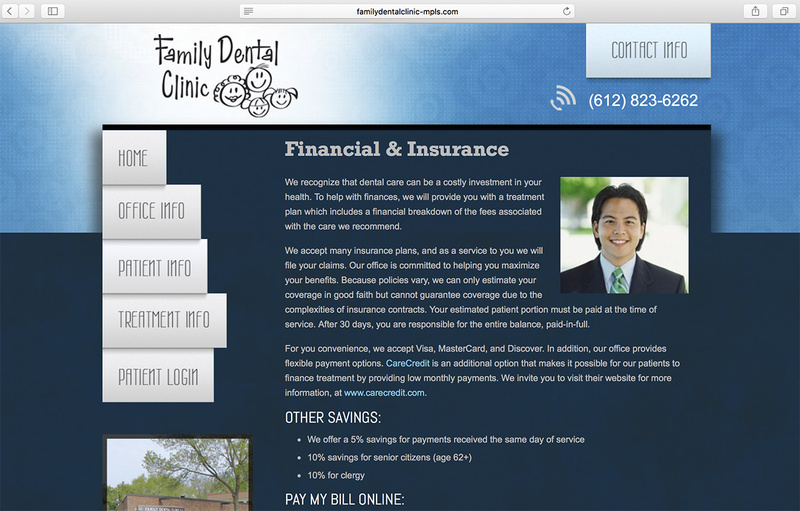 If you want to get to know more about a practice that has been able to reach success using these methods, visit the Family Dental Clinic’s website, www.familydentalclinic-mpls.com. From there, you’ll be able to see some of the conditions and details for their ‘Financial & Insurance’ campaign. There needs to be a warm and welcoming environment surrounding dental clinics. Thanks to the treatments that take place there, they can be associated with illness, aches, pains, and even fear. A lot of people panic when they need to see a dentist. What we propose here at Kolau is to create spaces that are cozy and create a completely different view for customers, one that is more relaxed and pleasant. In what way? Here are some simple ideas that will help promote your practice and the oral treatments that you offer. Clients hate to wait, that is something that you need to pay close attention to. Furthermore, within this type of business, it is very likely that some appointments will leave. To make waiting more pleasant, you could offer free WiFi to your clients. According to Vodafone, the benefits involved with offering this free service in any business are numerous. An example is within coffee shops that offer this service, clients consume up to 70% more product. Interesting, isn’t it? Be sure to take this tip into account with your clinic. 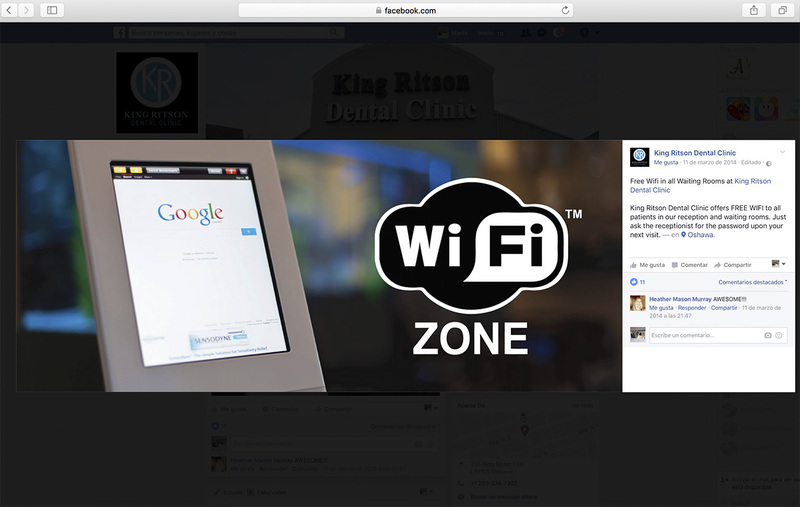 For example, King Ritson Dental Clinic offers a free WiFi zone for those who are seated in the waiting room. It’s a business located in Oshawa, Ontario (Canada) with a strong social media presence. This is the chosen outlet to share information like this. For fathers and mothers that are going to a dental appointment with their children in tow because they were unable to find someone to watch them, a playroom or children’s area will be greatly appreciated. 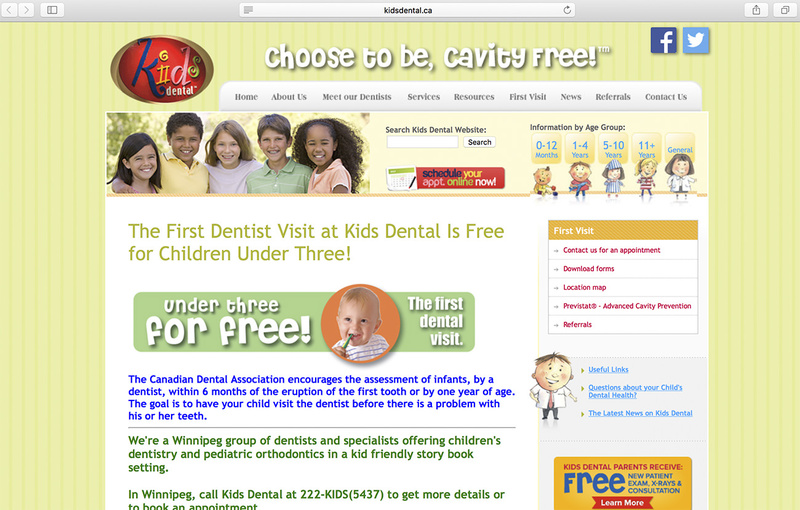 These are also crucial for pediatric dental clinics where children are your main clients. This involves setting up a small area with toys, tables, and chairs so that children can color and possibly a TV where they can watch movies and children’s cartoons. 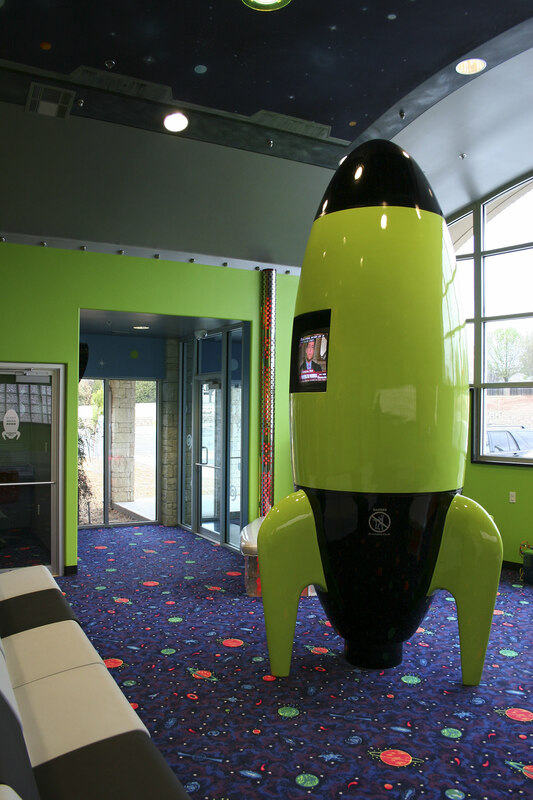 In this way, children can stay in this supervised environment while their parents visit the dentist. A dental clinic in Oklahoma has created what they like to call the Smile Zone at the Pediatric Dentistry of Oklahoma. The company that designs and installs these spaces has a website, where there are images of the final results. Put out coffee, tea or infused drinks for those in the waiting room to help them pass the time. Ensure that the seating is comfortable. Place a shelf or other furniture where there may be magazines or even a television so that people can see what’s happening in the news or music videos that provide the space with sound. Give oral health kits to individuals when they are leaving the center (bags with toothbrushes, dental floss, and toothpaste, for example). Offer free parking, especially if your facility is located at the center of the city where it can be costly to find a space. There can’t be a better way to reach out to the public than to be real, made of flesh and bone. 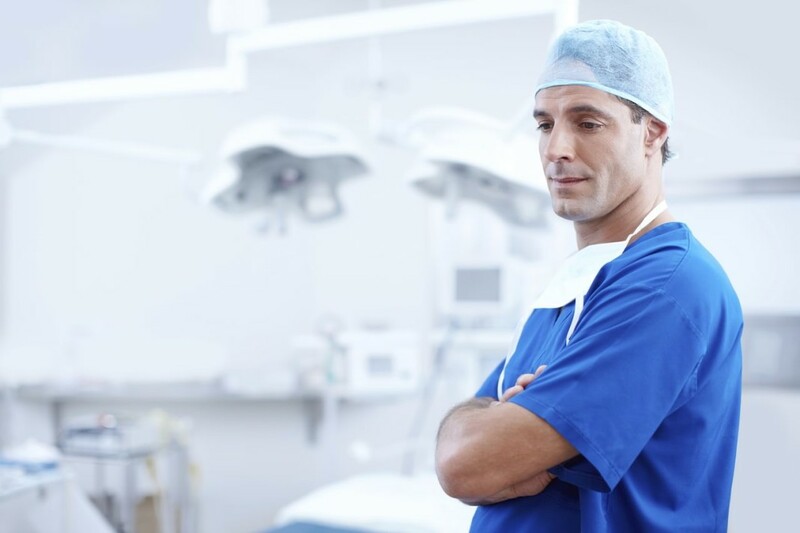 Ensure that all of your communication efforts are infused with closeness and confidence, keys to gain the favor of the public regarding health issues. For this, you could opt to provide offline promotions, such as placing yourself in advertising panels or handing out flyers and pamphlets. You can also create familiarity online by placing a banner with the names of your professionals and their pictures so that they become recognizable. In dental marketing, you may be more than used to—and a bit insensitive to—the fake smiles and the empty photo boxes on websites. Be sure to stand out from the rest with genuine pictures of your staff. Another proposal has to do with the patients. Try and persuade some of you loyal clients to allow you to use their image for publicity. This could be useful when showing a patient’s name with before and after photos, for example. You’ll be presenting authenticity and, in the long term, this will also translate into a higher volume of customers for your business, absolutely guaranteed! Proof? Cases? Examples? For this occasion, we suggest travelling to Bratislava, the capital of Slovakia, to the dental clinic known as Doctor Rose. You’ll see that the name is in the brand. On their website, they show some of the equipment they use for their work, as well as warm and smiling faces so that you will want to put your care in their hands. Having a social media presence is also a required prescription for dental clinics. In today’s day and age, there exists a large amount of competition within this sector so it is essential to be active on sites like Facebook and Twitter. YouTube is another important media outlet that can be used for many things. Coming up, we are going to show you five brief, but essential, tips to help you improve your standing, know more about the network, and to make an ally out of online marketing when it comes to your oral health care business. A website is indispensable. In our modern world, we look up everything online, so you must have a website, even a simple one so that those looking for ‘dental clinics in Illinois’ can find you if that’s where you’re located. A corporate blog to handle both the novelties occurring within the company, as well as to give advice regarding oral maintenance measures. Practical articles will be well-received by your audience. Interesting Social Media sites are essential, too. Facebook is important for positioning because it is one way in which you will most likely find your way to your target audience given the large amount of people that use this outlet. YouTube can be used to publish videos regarding the facilities and to offer information about how to better care for your mouth and to have solid oral care. Avoid excessive pictures of photos with smiling faces and people with large smiles as it soon becomes evident that they were simply posing for the photo. The best way to reach your clients is to put in the time and use your own resources and your real patients to show the true personality behind your clinic. Run away from videos and photos that are too realistic. Dental treatments aren’t known for their aesthetic value; altogether, it’s the opposite. Images that are too realistic or graphic can create fear and provoke rejection. Before you publish anything, it’s important to examine how much of what you are going to show is relevant. 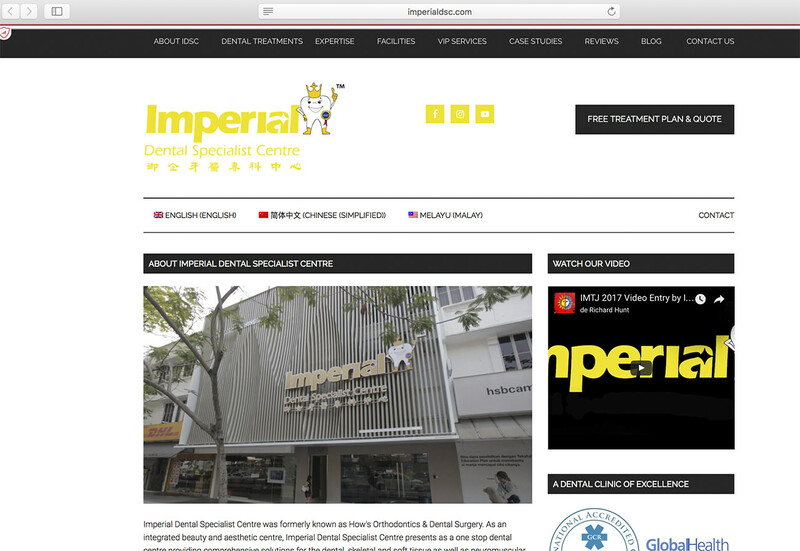 As an example, we would like to show you the different channels that the Imperial Dental Specialist Centre, in Kuala Lumpur (Malaysia) is using. They were elected in 2014 as the best dental clinic in the world by the International Medical Travel Journal, a prestigious industry magazine. They can be found on Facebook, Instagram, YouTube, and also have their own blog. You can take a look at their company and get a better idea of what they do through their website. We hope that all of these ideas have turned out to be useful and that they will serve you well in improving the positioning of your SME. As always, we want to help you go beyond online marketing and not simply stay on the surface level with social media, although we understand that these outlets form an essential part of any communications campaign. Take notes and let us know about your advancements. If you loved this post you can also take a look at our interview with the leading California Acupuncture Clinic and find out which Marketing strategies are being applied. You’ll like it! Kolau is the easiest way to rank your small business on the first page of Google. Start owning your small business online presence today! No marketing knowledge needed. No agencies required. Now you know, now you can.